cayojutia.com | Want to know before you go? Official Cayo Jutia information and guide, get facts and latest news. Cayo Jutia Cuba is an undeveloped island pertaining to the Caribbean nation of Cuba, it features a 100 year old lighthouse and is extremely popular with national Cuban tourists but, has yet to be discovered by the 2 million yearly foreign visitors to Cuba. Cayo Jutia is soon to be developed into a major tourist destination with hotels and condos planned before 2018. 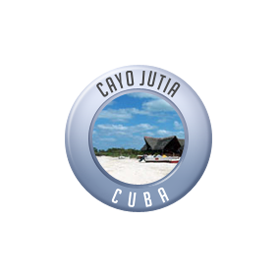 The Cayo Jutia is part of the Cuba Domains network of domain names which includes over 700 of the very best Cuba domain names. There are currently over 280 Cuban Hotels available from 2 to 5 star ratings. In 2014 Cuba’s Mintur or Ministry of tourism approved the non prepayment of hotels. 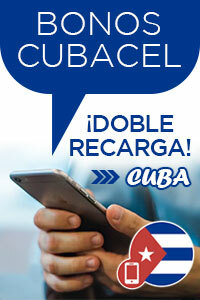 Therefore, much like the rest of the world, you can now book hotels on HotelCuba.com without paying in advance. Cuba has only one major rental Car Company which is called Transtur Rent A Car. Transtur operates several brands and these are Havanautos, CubaCAR and REX CAR Rental. Via Car Rental is operated by Via Gaviota Car Rental. We recommend returning to Cayo Jutia to see the updates and hotel development taking place or, alternatively, visit some of our developed Cuba destinations at the More Cuba link above. Cayo Jutia is one of the 160 islands of the Los Colorados archipelago, a favorite destination for local’s tourists who are attracted by the islands virgin beaches and the beauty of its coastline. Every summer thousands of Cubans camp along the pristine shores of the Cayo Jutia Island. 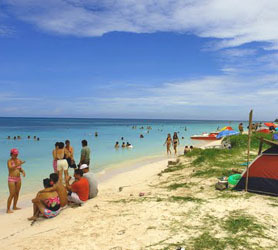 The island has been a popular hideaway fro Cuban tourists for over 3 decades. It is yet to be visited by foreign tourists but is destined to be a major tourist destination when the 5 hotels planned for the island are finally built. Visitors can reach the island via the 6.7 kilometers long causeway linking the mainland to Cayo Jutia. The coast of Cayo Jutia is caressed by pristine waters while the beach is simply stunning. As an nature reserve visitors can see green woodpeckers, blackbirds and hummingbirds. Among the greatest charms of Cayo Jutia is its lighthouse, one of the oldest in the country with its over 100 year history aiding sailors passing by north of Pinar del Río. Cayo Jutia has its amazing beach, lighthouse and the legendary species of wildlife. Cuba Hotels by province is offered exclusively from the Cuba Cayo Jutia team at Travelucion. Browse Cuban hotels by category, price or read Cuban Hotel Reviews. Travelucion also offers independent reviews on over 400 Casa particular in Cuba all accessible from the links below and conveniently situated in each Cuban province. Of course, since 1995, Travelucion has provided Cuban hotel bookings without prepayment, allowing you to look and book now and only worry about your card being charged after you have checked into the hotel. Yes – every hotel or casa particular listed can be booked right now without your credit card being charged or the inconvenience of having to pay days, weeks or months in advance. We hope you find the Cuban accommodation you are looking for!